What is a Wildlife Action Plan? In 2001, Congress asked each state to develop a Wildlife Action Plan to be eligible for State Wildlife Grants (PDF) – a federal grant program that helps state and tribal fish and wildlife agencies address the unmet needs of fish and wildlife. Wildlife Action Plans are revised every ten years in order to periodically evaluate the health of wildlife populations and identify opportunities to conserve species and vital habitats before they become rarer and more costly to protect. In 2005, MDIFW, its conservation partners, and the public prepared Maine's first Wildlife Action Plan. We have accomplished much for wildlife since 2005 (summary, details), and we hope to continue this success into the future with Maine's 2015-2025 Wildlife Action Plan. possible by partnerships among landowners, agencies, and biologists. Maine's 2015-2025 Wildlife Action Plan is a shared vision for our state that identifies voluntary and non-regulatory measures to conserve priority wildlife species and habitats through public awareness, research, stewardship, and partnerships. 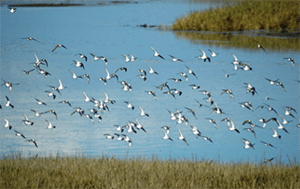 The Plan provides species-specific and habitat-based voluntary 'conservation actions' to help prevent further species declines over the next ten years. Maine's 2015-2025 Wildlife Action Plan (PDF) addresses the state's full array of wildlife and their habitats including vertebrates and invertebrates in aquatic (freshwater, estuarine, and marine) and terrestrial habitats. The Plan targets Species of Greatest Conservation Need (SGCN) and covers the entire state, from the dramatic coastline to the heights of Mt. Katahdin. Maine's Wildlife Action Plan is non-regulatory and is intended to supplement, not duplicate, existing fish and wildlife programs. 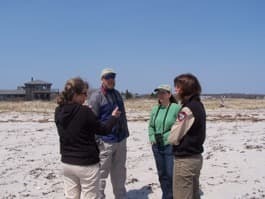 It builds on species planning efforts ongoing in Maine since 1968 and a long history of public involvement and collaboration among conservation partners. Maine's 2015-2025 Wildlife Action Plan identifies 378 Species of Greatest Conservation Need (SGCN) within six species groups. The Plan also identifies the habitats in Maine needed by each SGCN, the greatest stressors affecting SGCN and their habitats, and the conservation actions we can take now to reduce these stressors. ¹Total includes only described species the actual number is much greater. The Plan can be downloaded in its entirety (Maine 2015-2025 Wildlife Action Plan - PDF) or as individual chapters below. The SGCN list also can be downloaded separately (SGCN List - PDF). Maine's 2015-2025 Wildlife Action Plan is a shared vision for our state that reflects the expertise and knowledge of over 100 conservation partner groups, including state and federal agencies, tribes, conservation organizations, and other partners - scientists, managers, hunters, anglers, conservationists, landowners, academics, guides, community leaders, and many others - with an interest in working together for Maine's wildlife. This collaboration provides the foundation on which Maine's Wildlife Action Plan was built and will continue to provide input on Plan implementation, tracking, fostering partnerships, building cross-state alliances, and leveraging funding. Given that approximately 94% of Maine is privately owned, landowners are integral to the conservation of our wildlife heritage and natural resources and are an essential component of Maine's Wildlife Action Plan partnership. Are you proposing new regulations? No! Maine's 2015-2025 Wildlife Action Plan is strictly non-regulatory. All conservation actions included in the Plan are based on voluntary efforts. Why is the plan so long? The 2015-2025 Plan provides a comprehensive proposal for how Maine will address each of these elements. Maine's 2015-2025 Plan is much shorter than the original 2005 Plan, which was over 2000 pages long. For the 2015-2025 Plan, Maine reduced the page length by approximately 78% and condensed much of the SGCN, habitat, stressor, and conservation action information into tables. How was the Species of Greatest Conservation Need (SGCN) list developed? MDIFW biologists, with review and cooperation from conservation partners and species experts, developed conservation criteria for designating Maine's eligible SGCN. For each species in Maine, MDIFW and partners reviewed the best available science to determine if the SGCN criteria were met. If so, the species was added to the list of SGCN at one of three priority levels (1=critical; 2=high; 3=moderate) depending on which and how many criteria were met. The primary themes for SGCN prioritization include risk of extirpation, population trend, endemicity, and regional conservation concerns. Secondary themes for SGCN prioritization include climate change vulnerability, survey knowledge, and indigenous cultural significance. Information on the SGCN criteria can be found here, beginning on page 25: http://www.maine.gov/docs/swap/2015MaineSWAP_Element1_DRAFT.pdf (PDF). How are SGCN different from Threatened and Endangered (T/E) Species? SGCN are different from T/E species in several ways. 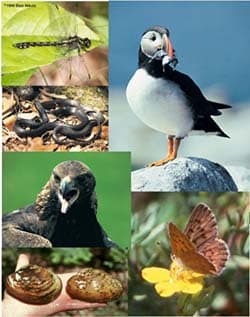 First, T/E species are eligible for regulation under the Maine and/or Federal Endangered Species Acts (ESA). Some activities that affect these species or habitats also are potentially regulated. In contrast, SGCN species are not regulated. Many state and federal T/E species also qualify for SGCN status; but, this designation does not add any additional regulations. There are many more SGCN than there are listed T/E species. For example, there are 51 T/E species listed under Maine's ESA, but there are 378 SGCN in Maine's 2015-2025 Wildlife Action Plan. By designating a species as SGCN now, we can take preventative steps to avoid the need for listing the species in the future under the State or Federal ESA. Where can I find the list of SGCN? SGCN are organized by groups (e.g., birds, mammals, amphibians, etc. ); click on each species to view a report that details how the species qualifies as SGCN, associated habitats, distribution range in Maine, stressors affecting the species and its habitats, and conservation actions proposed to prevent future declines over the next ten years. Don't some of these species already have management plans? Yes. The 2015-2025 Wildlife Action Plan is not intended to replace existing management plans, but rather provides additional resources for ongoing and new SGCN conservation efforts. Where can I find information on what is affecting SGCN and their habitats ('stressors')? Where do the stressor names come from? Don't certain activities classified as 'stressors' sometimes benefit wildlife and habitats? Where can I find information on the actions being proposed to prevent future species and habitat declines? This chapter also contains information on how MDIFW and conservation partners will prioritize and implement these actions over the next ten years. Completing the 2015-2025 Plan was just the first step. The success of Maine's 2015-2025 Wildlife Action Plan relies on your participation and partnership. The Plan presents conservation actions ranging from local, SGCN-specific efforts to those with a more regional focus. We hope you will see a role for yourself or your organization in these actions. If you belong to one of the conservation partner organizations that participated in writing the 2015-2025 Plan (see page 15, http://www.maine.gov/ifw/docs/swap/2015MaineSWAP_Elements7and8_DRAFT.pdf (PDF)), you may wish to contact your local chapter or media representative for more information. As the Plan is implemented, we hope to provide ongoing workshops and informational sessions on accessing and using Plan information. Please contact us for more information.